Monday 29th September 2014 – 5.05pm – Claire Brown. A collision involving a car and a pedestrian in Tamworth has left a boy with serious lower leg injuries this afternoon. West Midlands Ambulance Service was called to the A5, near Stoneydelph Lane, at 3.20pm earlier today (Monday). An ambulance, a paramedic area support officer and the Midlands Air Ambulance from Tatenhill attended the scene. A West Midlands Ambulance Service spokeswoman said: “A pedestrian and a car had been involved in a collision on the A5 dual carriageway. The pedestrian, an 11-year-old boy, had reportedly been knocked unconscious in the collision. Upon assessment by ambulance staff, they found not only had he sustained a suspected head injury but he had also suffered a nasty fracture to his lower leg and ankle. “Working as a team, ambulance staff administered analgesia to the boy to manage his pain before he was fully immobilised with a neck collar, spinal board and leg splint. 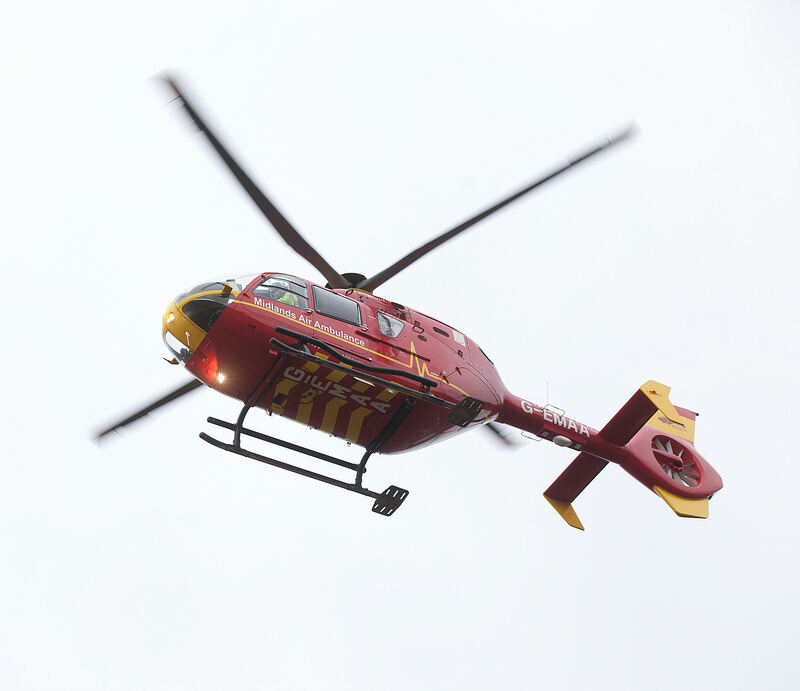 “Once stable the boy was transferred to the awaiting helicopter, which had landed on the carriageway, before being airlifted to Birmingham Children’s Hospital. “The driver of the car, a man, was uninjured.